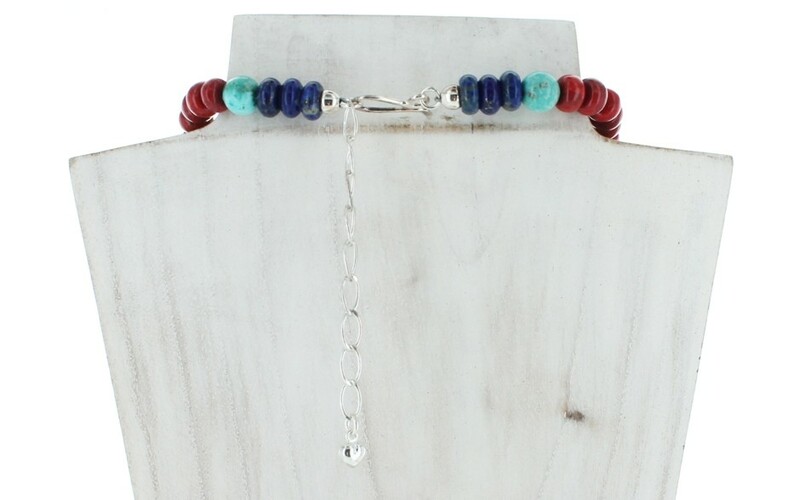 This bib-style necklace features dark red coral,dark blue lapis and pale blue-green Andean Blue turquoise as a single strand of rondelles and round beads. 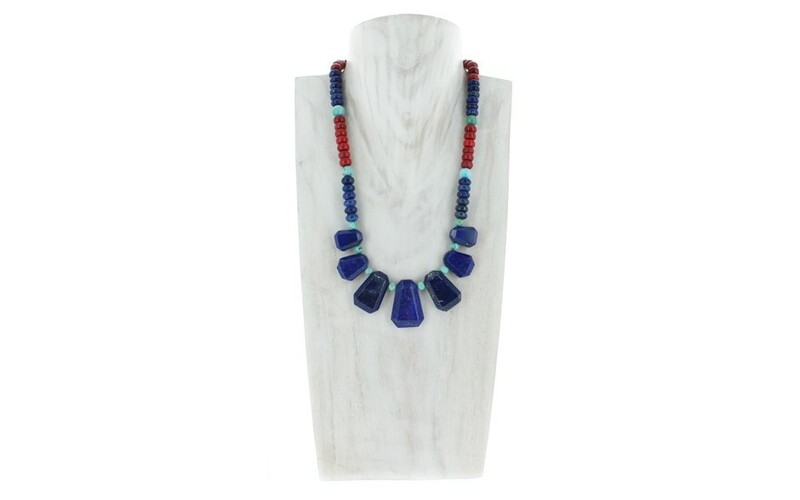 The center of attention is the free-form lapis stones which are beveled on the front side and separated by turquoise beads. 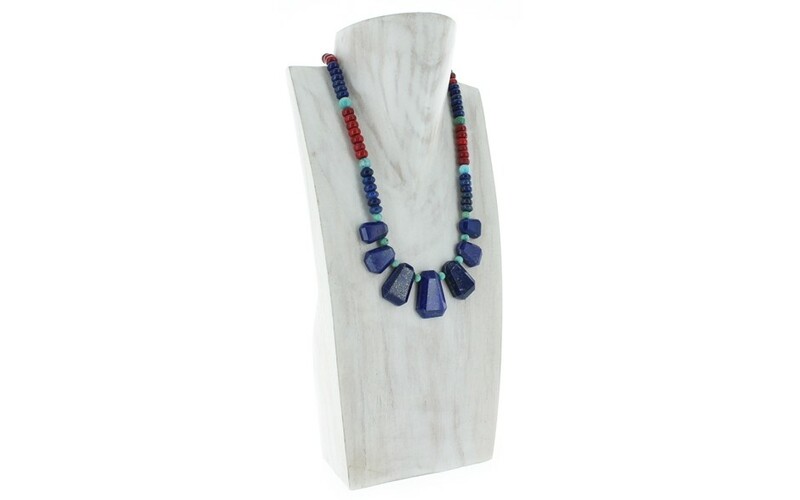 The largest stone measures 21mm x 30mm and the smallest measures 8mm x 4mm. The rounds are between 5-8mm. 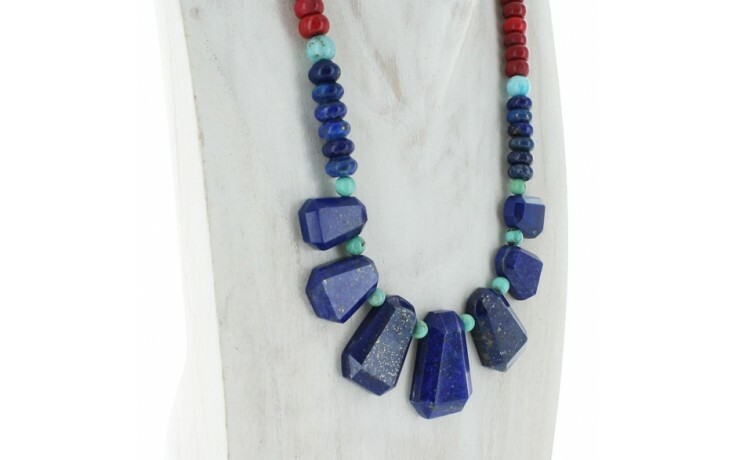 The lapis was mined in Afghanistan, the stabilized turquoise was mined in Chile and the color enhanced, compressed coral is from China.